ceramic vs stainless Cow girl proof? I would also like to know about any other internal upgrades and where to get parts(I have heard a guy on E bay is a good source for bearings) that will make these reels last longer while throwing big bladed buck tails that have a lot of resistance. I have upgraded from OEM to ABE7 on all my ABU's. The only gain from moving to the ceramics is going to be speed on cast, and you will pick up some noise. If you are mainly casting big blades and lures for musky, do not waste your money going to ceramics. It is very easy to replace brass bushings to bearing in the spool of your C3 also, making it a C4. Add the worm gear bearings and you now have a C5. Abus are that cheap over there they are virtually disposable, punt the old ones on ebay try some of the new abu toro reels, just got one and heavily impressed, sold an abu record and abu altrcast to finance it, allot easier to old as its lower profile. Do the cow girls give a hard rattle on retrieve? I seen them at the chicago musky show but never bought any!! oh yeah what is an ABE 7 and what is in the upgrade? ABEC is the American engineering association that classifies bearings according to their internal tolerances. Higher number = closer tolerance. Most reels come with ABEC-3 to ABEC-5 bearings. You can buy ABEC-7 bearings from repair facilities for less than the factory charges for replacement ABEC-3's or 5's, so it's a good deal if the reel needs new bearings. A C4 4600 has 6.2:1 gears and retrieves line much faster than a C3. 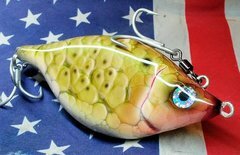 However, if you are throwing heavy musky baits, faster gears also mean you will have to work harder to crank in lures with the taller gears from a C4. That can be a big consideration! Opinion: I would leave the plastic gears that drive the level wind if it is working OK. They are lightweight and self-lubricating and work just fine in a situation like this where they are lightly loaded. Metal is NOT always better than plastic and stainless is NOT always better than brass. I'd call southwesternparts.com for advice on the gears and what upgrade options exist. You may be able to upgrade the brass bushings in the reel to bearings. If I was happy with the performance of an old reel, I'd be looking to replace the spool bearings, maybe upgrade the bushings to bearings if the cost was reasonable, and maybe replace the main and pinion gear set with the same ratio replacement.